We have some good news for all customers looking for a good mid-range smartphone. Lenovo company has announced their new model called Lenovo Vibe K4 Note. It is a well designed device that has much to offer for a typical user. 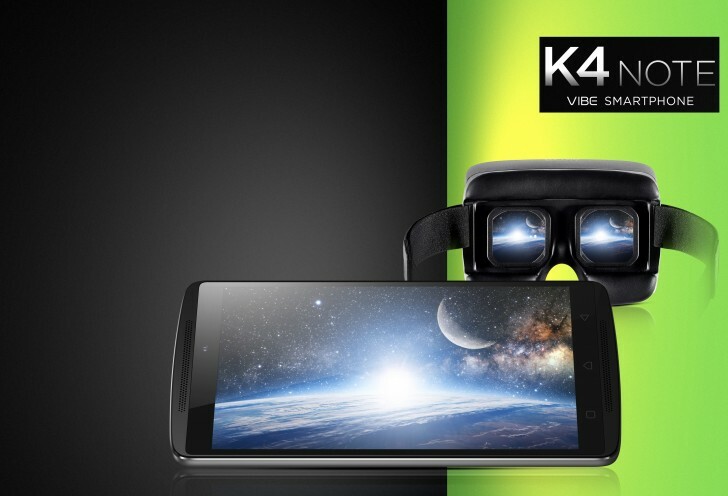 Vibe K4 packs a 5.5-inch 1920x1080 LCD with Gorilla Glass 3. Heart of this device is a MediaTek MT6753 with a 64-bit octa-core CPU and Mali T720-MP3 GPU. There's also 3GB of RAM and 16GB storage with microSD support. The phone comes with Android 5.1 out of the box. Other features include: 13 megapixel camera ISOCELL with phase detection autofocus, f2.2 aperture and two tone LED flash. On the front is a 5 megapixel sensor. The device has dual 1.5W speakers on the front with Dolby Atmos surround sound effect. For headphone users, there's Wolfson WM8281 audio codec. All in all a very good device which costs only $180 with sales starting on January 19 on Amazon with a TheaterMax, which turns any multimedia content into 3D VR when used with a VR headset as a bonus.